The Chairman of the Federal Communications Commission Ajit Pai hasn’t shied away from taking credit for all of Obama administration’s broadband deployments. Things are rarely straightforward when one is the chairman of any organization, let alone the Federal Communications Commission. One dilemma that Aji Pai had to deal with came when he had to oversee the creation of FCC’s latest Broadband Deployment Report. No one needs to know what the Chairman of the Federal Communications Commission thinks about issues such as net neutrality. Anyone who has followed Aji Pai’s rhetoric over the last couple of years would know how he likes to go about his business. Keeping that in mind, most people can probably make two very safe predictions on Ajit Pai’s input in this Broadband Deployment Report. In any case, there is little reason to believe that the report would not conclude that killing net neutrality has brought on great positives for the industry. In fact, broadband deployment in the United States is still going strong as it would have with net neutrality laws in place. Moreover, Ajit Pai would also like to report to mention that net neutrality rules repeal hasn’t ruined anything. If anything, it has only helped the cause of new broadband deployment. It may also be responsible for all new broadband deployment projects. Here is the problem with the report. The data that the Federal Communications Commission has used for the report seems like irrelevant. In the sense that the data the Federal Communications Commission has made use of for the report only manage to cover new broadband deployments which have took place through December of 2016. At that time Aji Pai worked as a commissioner. He didn’t get the promotion to Chairman from Commissioner until January of 2017. The FCC has based its report on the extensive data submissions of Form 477. Internet service providers all over the country must fill out these on a regular basis to stay on the right side of the law. 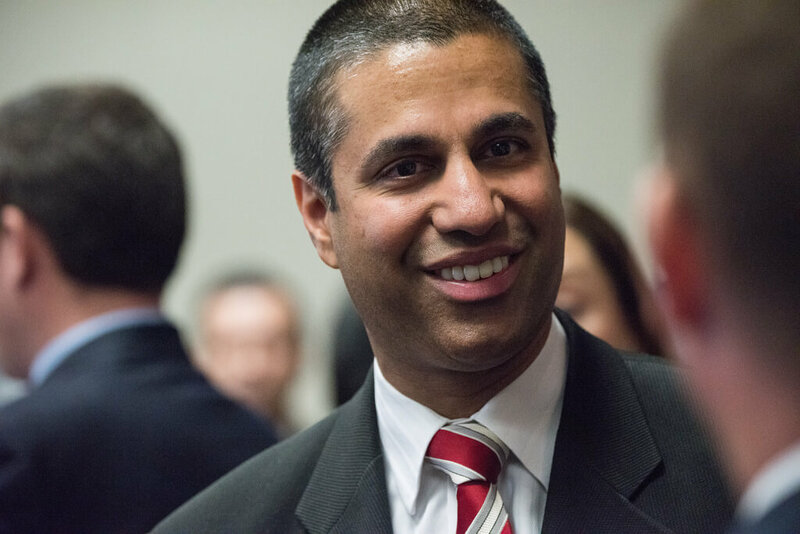 The other thing readers need to keep in mind is that even though Pai became the Chairman in January 2017, he didn’t really lead the official net neutrality rules repeal vote until December of 2017. Needless to say right now, technically speaking net neutrality rules haven’t died yet. They are still on the books. Ajit Pai is a visionary man if one believes the things he has done according to the FCC report. Because net neutrality rules repeal will take, at the very least, an additional two months to go into full effect. Hence, the timing of the Broadband Deployment report is a problem. It should be impossible for anyone, let alone Pai, to come up with any kind of evidence that because the FCC killed net neutrality rules, broadband deployment rate all over the country is increasing. Here is the bigger problem though. The report claims exactly that. With no relevant data to back it up, the FCC report claims anyway that the increase in Broadband Deployment rate is due to the FCC getting rid of net neutrality rules. The report also claims that once future data becomes available, it would further strengthen that argument. How has the FCC exactly supported its claim? Well, let’s analyze the report for a bit to find that out. The report conveniently claimed that because of Ajit Pai’s deregulatory policies the Obama administration managed to launch many broadband deployment projects. About two weeks ago, Ars Technica noted that the fact sheet which Ajit Pai issued didn’t really offer any concrete data to back up the FCC’s claim about his accomplishments. The FCC released the full report this past Friday. That gives everyone the opportunity to read it and take a slightly deeper look at the reasoning and the conclusions in the report. Does The Broadband Report Really Matter? Let’s explain why it does. Congress basically required the Federal Communications Commission to encourage and support broadband deployment to any and all United States citizens. It did that via the Telecommunications Act of 1996 Section 706. The same act required the Federal Communications Commission to make a reasonably regular determination of two other things. One, whether authorities had deployed advanced telecommunications capability to all United States citizens. Secondly, whether it had done so in a timely and reasonable fashion. The same article also said that if the Federal Communications Commission somehow found that concerned authorities had slacked off and didn’t deploy advanced telecommunications capabilities quick enough, then the Federal Communications Commission had to take immediate and concrete action in order to accelerate the process of deploying such capabilities. How would the Federal Communications Commission do that? Well, it had to do that by getting rid of any and all barriers to critical infrastructure investment. The Federal Communications Commission could do that by promoting sufficient amount of competition in the country’s telecommunications market. It is also true that things did not go that smoothly during the presidency of Barack Obama. And rightly so, the Federal Communications Commision regularly found out that concerned authorities did not make the necessary arrangements to accelerate the process of broadband deployment. In other words, broadband deployment did happen during the Obama administration. But it regularly did not happen quick enough. 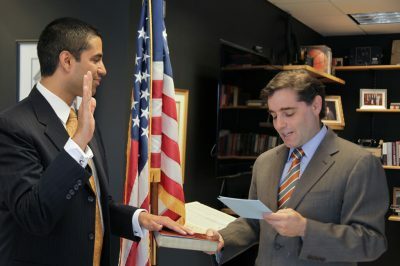 The greatest day of Ajit Pai’s life was when he became the chairman of the FCC. In a rather weird twist to the story, the Federal Communications Commission, now, doesn’t think so. Perhaps that is the reason why the FCC has reported otherwise in the first real broadband deployment report since Ajit Pai took over and became the chairman of the Federal Communications Commission. The Broadband Deployment report concluded that concerned authorities did deploy advanced telecommunications capability to all United States citizens in a timely and reasonable fashion. The report also continued that people should not draw the wrong conclusion from the content of the report. In other words, even though the report says that concerned authorities are providing broadband deployment quickly enough, it doesn’t mean all Americans now have access to broadband internet. The report also clarified that it only meant that the US had come back on track as far a broadband deployment was concerned. What About Data? Does Data Reflect The Purported Benefits of Killing Net Neutrality Laws? This is where it gets even more interesting. We know that there is indeed lack of data concerning broadband deployment since Ajit Pai became Chairman. The report itself says that the Federal Communications Commission had done well to get back on the correct path. But the Federal Communications Commission didn’t bother to change its finding in the report. What does it do instead? Well, the Federal Communications Commission report mentions that the data for December of 2016 simply did not reflect all the beneficial effects of Federal Communications Commission’s appropriate actions in the year 2017. Some may ask what kind of appropriate actions? Well, the report mentioned those actions too. Those actions included actions such as the Federal Communications Commission ending the 2015 Net Neutrality Order. According to the Broadband deployment report that 2015 Order had an adverse impact on broadband investment in the country. Most already know what the lack of net neutrality rules would do for internet service providers. All for nothing in exchange except money. Or, a small payment, to put it in nicer terms. The net neutrality repeal did a lot of damage in other areas as well. It effectively eliminated many other kinds of consumer protections. What kind of consumer protections exactly? Protections such as the requirement that internet service providers had to exercise more transparency. With the customers of course. Well, internet service providers had to get rid of hidden fees. They also had to state the consequences of users exceeding their data caps more clearly. What Does The Net Neutrality represent? 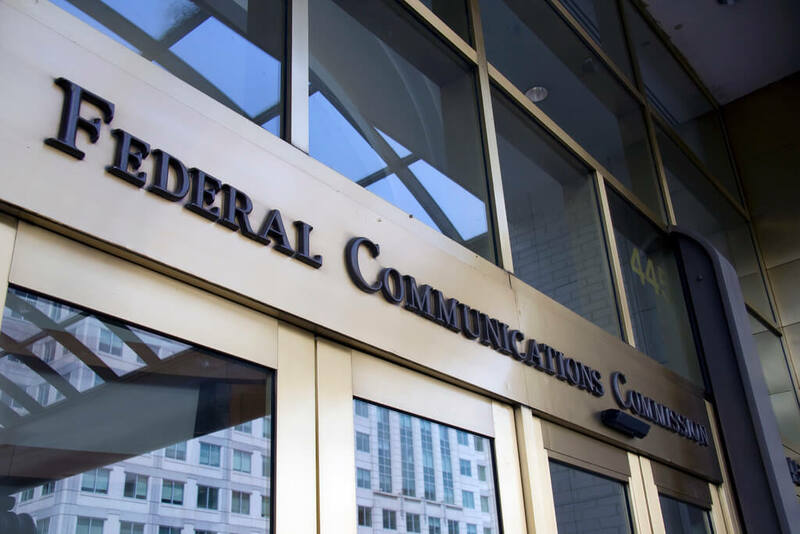 An item on the list of things the Federal Communications Commission has done so far in its efforts to reduce and even close the country’s digital divide. The Federal Communications Commission hasn’t just removed all net neutrality rules. Ajit Pai has managed to take many other well-intentioned deregulatory actions. 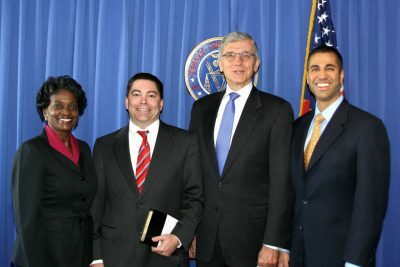 Under his leadership, the Federal Communications Commission has also taken some broadband deployment actions. In fact, according to the report, Ajit Pai had started to work on broadband deployment during the Obama administration. Let’s talk about some examples from the report. The broadband deployment conveniently and favorably cited the example of the Lifeline program. It’s basically a program that targets low-income United States citizens. The report says the FCC had expanded that program. But the actual expansion took place in March of 2016. That is in addition to the fact that since then, Ajit Pai’s Federal Communications Commission has tried to reverse the supposed benefits of the program. The Federal Communications Commission has now actually made it harder for internet service providers to sell those Lifeline-subsidized plans. Additionally, the list also includes many of other Ajit Pai’s actions. The reports say Ajit Pai has taken the commission’s work to new heights. One of them is the chairman’s move to kill price caps. The Federal Communications Commission had previously imposed these on some businesses. Businesses such as broadband internet providers. What brought on that decision? But the decision did rely on a strange Federal Communications Commission analysis. That analysis basically concluded that one could deem a local market reasonably competitive even if the majority of the customers in that market only had access to one broadband service choice. The FCC report also mentioned more evidence on how Ajit Pai’s policies had brought on several benefits. The report said that the organization saw the marketplace already responding to the new environment. What is that new environment? The new environment is the deployment-friendly which Ajit Pai has put in place right now. Moreover, the FCC also provided two more sentences which it counted as enough evidence for the organization’s claim. managed to either announce or commence new broadband deployments in the year 2017. The new deployments, according to the report, presented the initial indicators. According to the report’s conclusion, these indicators showed that broadband deployment would accelerate again. Or at least was likely to do so. And that was in part due to the organization’s recent broadband deployment efforts. Why are these telecommunications companies increasing their broadband deployments? The FCC report had an answer for that as well. According to the report, the FCC had recognized many reasons for the increased rate of broadband deployment. The FCC’s decision to go ahead with net neutrality rules repeal represented one of those reasons. And the other reason was the commission’s decision to eliminate the classification of internet service providers as common carriers. The FCC thinks these are the reasons for any and all increase in broadband progression rate. So what about the evidence then? For evidence, the FCC simply cited the commission’s own December 2017 repeal order. That repeal order stated that if the commission deregulated internet services then it would encourage broadband innovation. Hence, it would further the commission’s goal of delivering broadband services to all United States citizens. But the actual fact is the of the four broadband deployments the FCC talked about, 3 were planned while Barack Obama was the president of the United States of America. Moreover, there were two further broadband deployments. But the FCC funded those before Ajit Pai became the chairman of the commission. Additionally, all four deployments came from similar internet service providers. Similar in the sense that all had announced their broadband deployment expansions before Ajit Pai became Chairman of the FCC. And as mentioned before, before Ajit Pai the US law still had a place for net neutrality rules. The point readers need to understand is that Ajit Pai did nothing to accelerate the expansion of broadband deployment. These internet service providers had already planned to do so even before the FCC decided to kill net neutrality rules. The FCC’s evidence is flawed. Because the commission wants to prove that net neutrality rules repeal actually created and supported broadband deployment. To prove that, the FCC report limited its scale to just four companies. This could lead some readers to believe that these internet service providers hadn’t planned on expanding broadband deployment while FCC hadn’t killed net neutrality rules. As indicated earlier, these internet service provider had broadband expansion plans even with net neutrality rules and regulations in place. But Pai seems to not care about that. And it shows in the report. Ajit Pai took credit for specific projects even though he hadn’t become the chairman when they went underway. Moreover, the FCC “evidence” also stated that companies like AT&T had boosted their broadband network because of one reason. That one reason was that the FCC had killed net neutrality rules. What the FCC doesn’t realize is that AT&T made the announcement for the expansion in January of 2018. In other words, at the time, AT&T announced that the company had fulfilled one of its promises. That one promise was for the company to provide high-speed broadband internet to a large number of people. More specifically, around 440,000 homes along with small businesses. AT&T provided them with high-speed internet even though the company had to go to hard-to-reach remote locations. The company made broadband available across 18 states by the time the end of the year 2017 came around. Readers should note that almost all of these broadband deployments had something in common. They all occurred within the year 2017. And remember, the FCC had not eliminated net neutrality rules in 2017. As mentioned earlier, most of these deployments had their planning stage competed while Obama served as the president of the country. Hence, if someone has to give credit to someone, then that credit should go to the FCC. Or more specifically, FCC policies under the Obama administration. And of course, Tom Wheeler, the then Federal Communications Commission chairman. Tom Wheeler’s FCC also came up with the merger approval. This required companies such as AT&T to launch specific deployment programs. Under these programs, AT&T actually agreed to provider fiber-to-the-premises to more than 12 million American customers.